our friends recently had a baby girl, so i whipped up this little top for her to wear next summer. 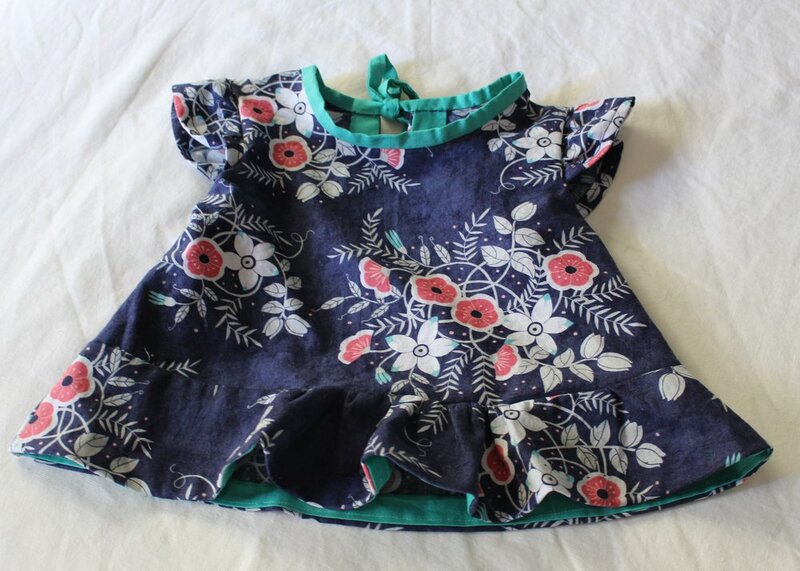 it’s the oliver + s butterfly blouse, which I first made for neela back here, made out of an adorable quilting cotton i picked up at stonemountain & daughter, which in my opinion is the best fabric store in the bay area. I accidentally trimmed the flounce a bit too short, but that was easily solved by doing a facing instead of a standard hem. 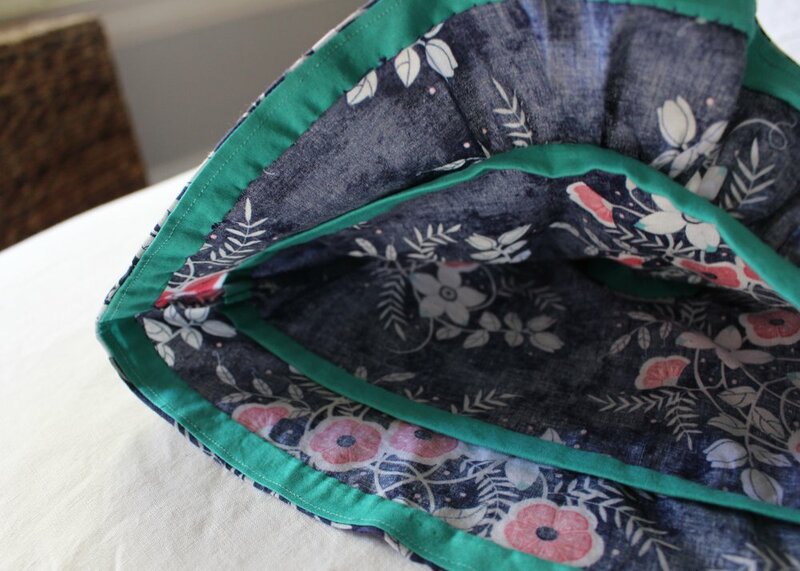 I also bound the seams where the flounce was attached to the body of the shirt so it was finished nicely. as with my prior rendition of this pattern i did a tie on the back instead of a button closure, this was easily done by extending the binding 8 or so inches on each side. it makes a perfect little bow. one thing i really liked about this pattern was the bound armscye (yes that is a real word) since it's such a short sleeve the binding is really necessary for it to look finished. now i'm getting all giddy thinking of a chubby baby arm in those little sleeves. how about a few more pictures for the cheap seats in the back? 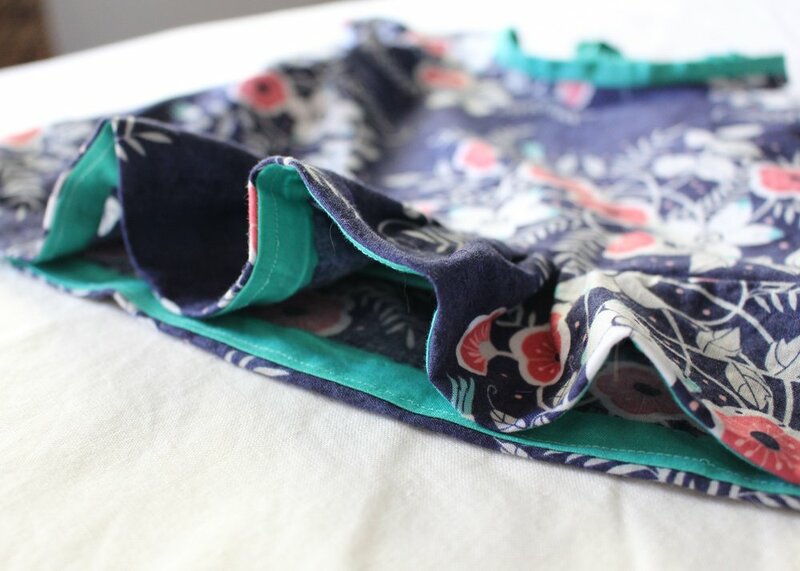 now off to sew more baby clothing!